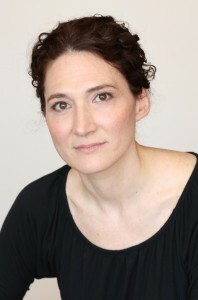 Sari Wilson is the author of the novel Girl Through Glass, which was a Millions bestseller, an Amazon Book of the Month, long-listed for the Center for Fiction debut novel prize, and selected for the New York Times First Novels short list. Her writing has appeared in The New York Times, New York magazine, Catapult, Slice, AGNI, and elsewhere. She is the recipient of a Wallace Stegner Fellowship, a Provincetown Fine Arts Work Center Fellowship, and a residency from Yaddo. She lives in Brooklyn, New York, with her husband, cartoonist Josh Neufeld. She and Josh co-edited Flashed: Sudden Stories in Comics and Prose, a linked collection of prose and comics, published by Butler University Press. Sari grew up in a Victorian brownstone in Brooklyn Heights and has lived in San Francisco, Chicago, and Prague. As a child, she studied ballet at Neubert Ballet Theater, Harkness Ballet and on scholarship at Eliot Feld’s New Ballet School. She attended Oberlin College, where she studied history and dance.